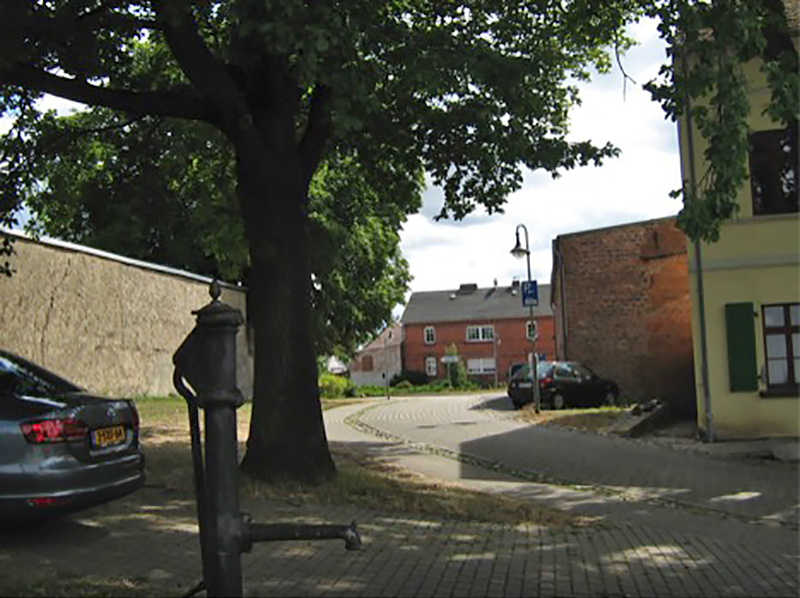 The photo on the left is in Farsleben near the train tracks were the Bergen-Belsen prisoners were liberated on April 13, 1945 by the American Army. The current mission was to get permission from the Farsleben Mayor so that a Monument in stone can be placed there in memory of the camp survivors that were liberated when the American tanks of the Old Hickory Division arrived there. No permission was given to the place near the tracks, the reason why was it was too close to the train tracks, which was not safe there; it would probably make the train drivers passing by nervous. Also there is a tunnel there and it is covered with graffiti, plus there is no road and a large amount of weeds and bushes and fences. This would not be safe for the elderly. For those wanting to go there, please contact the local historian, Klaus-Peter Keweloh or otherwise photos can be provided. The next place very close to tracks where all the survivors first came, was a building with a hall, from this window they got their first food. The Mayor said he did not recommend this building because at times the youth come there to have parties. Not far from that was the first water pump the survivors used. It was standing next to an old oak tree. In many towns in the 40's a Hitler tree was planted, it doesn't say anything on the tree, but to many it is known as the Hitler tree. After speaking to a local woman, who was only 10 years old in 1945, she said she saw it all happen there. She saw the first water pump where they drank from and the first food hall when they arrived. The woman, Mrs. Moritz, was very supportive of this cause; she found it strange that there was nothing there to mention this historic fact. 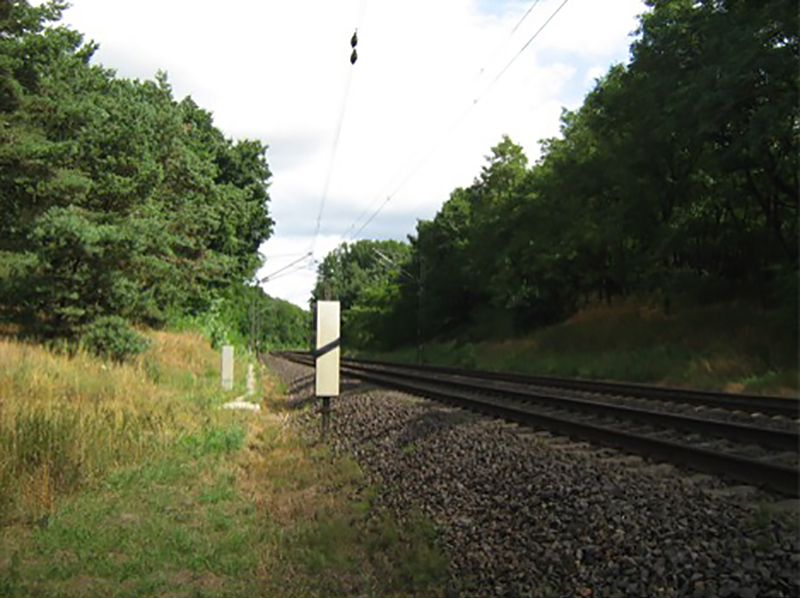 Near this was the local Farsleben cemetery and there were 36 persons buried here, four known and 32 unknown, that died in the train. 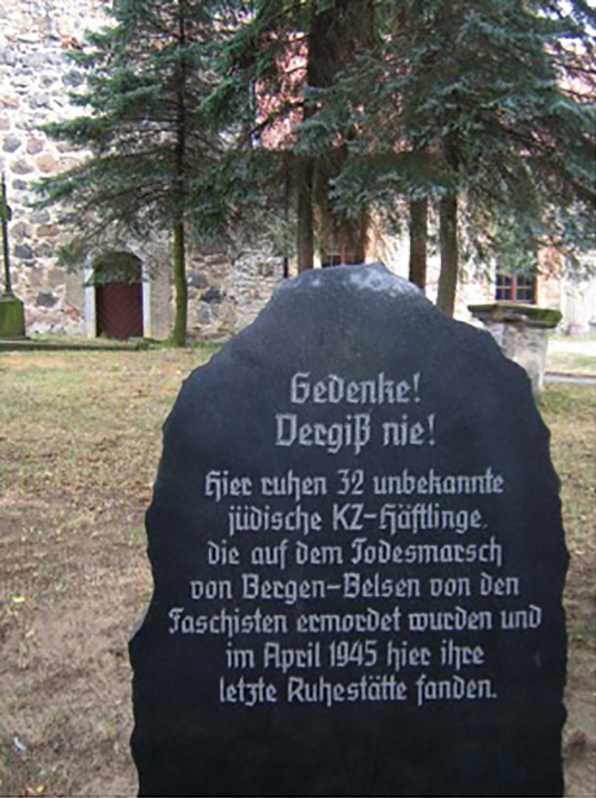 Near this location, the foundation has received approval to place a Marker/Monument to mention the liberation of the Bergen-Belsen prisoners by the American army. 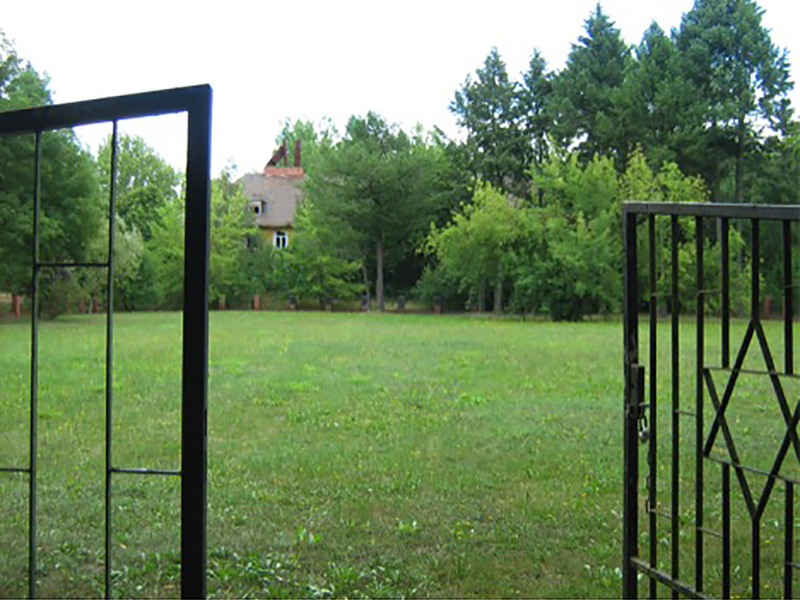 The Farsleben local cemetery is protected by a fence and gate. This was agreed to be the safest, closest place to the tracks, where the Monument could be placed. 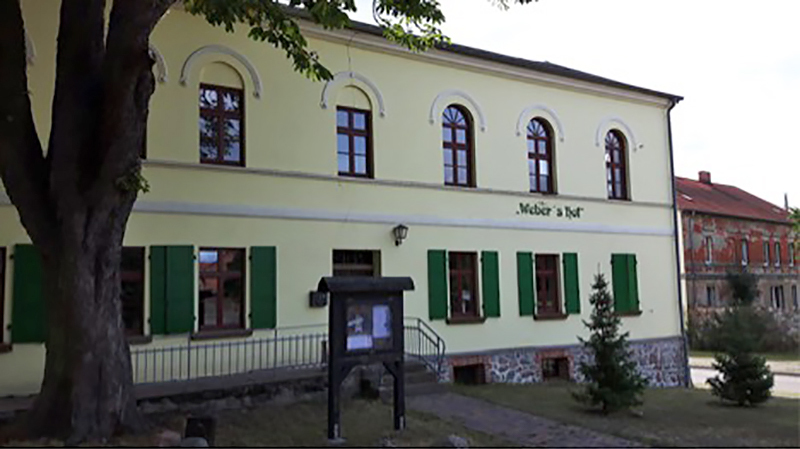 The survivors were soon moved to Hillersleben after their arrival, where accommodation was provided and a medical clinic. All the German families living there and the German military barracks were immediately evacuated for the displaced persons arrival. Mrs. Moritz’ mother was a nurse and cared for the sick patients, until her Grandmother got typhus, which was very common among the sick patients then. The medical clinic entrance, which has not been used for 22 years. 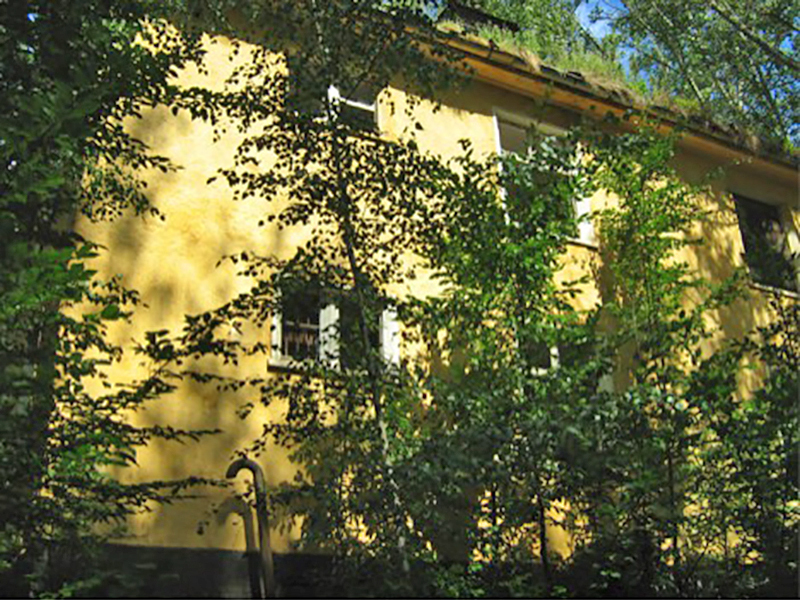 One of the homes where the displaced persons lived in Hillersleben. There are 138 prisoners buried in this park that died after the liberation, all the names are on a fence markers at the far back fence, however there were only 5 graves marked individually, all were buried in the fenced park and the locals do have a map where everyone is buried. There are five grave stones which were bought by their families, the rest of the graves have no grave markers. 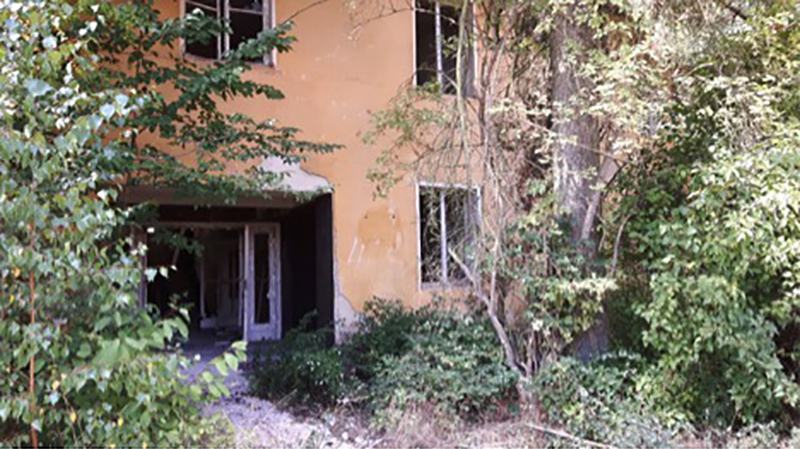 The buildings are still standing there and the clinic, however they are expected to be demolished in the near future. The Russian soldiers also lived there until 1994; they even had a sort of check point Charlie to cross the Russian premises to reach the camp survivors premises. The Historian also has many photos of how it was during the war and after the war, he and his son were very kind to spend a day and a half there to assist in obtaining the needed permission to place a Monument in Farsleben. Hillersleben was also the Hitler top secret grounds, where artillery and canons were being tested, this is why it did not get bombed. The Americans took what they wanted and thereafter the Russians took the rest. There is only one criteria agreed with the Mayor, that is he has a right to review the text on the Marker, which is fully understandable. No rent needs to be paid for the ground and the whole cemetery is well taken care of. In the past there was also a request to place such a Marker, but was not permitted due to the fact the town had no funds. The town has 600 residents.